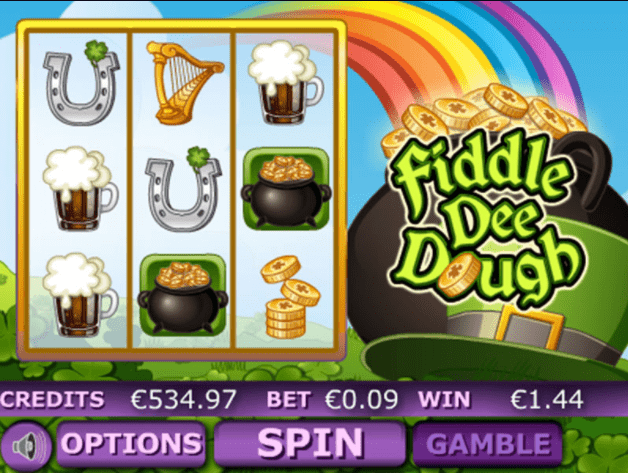 The luck of the Irish will be with you on this 5 reel slot game classic as you play with cheeky leprechauns. Use your Irish charm to unearth the harps, rainbows, and crocks of golds to win 1000x your original stake. 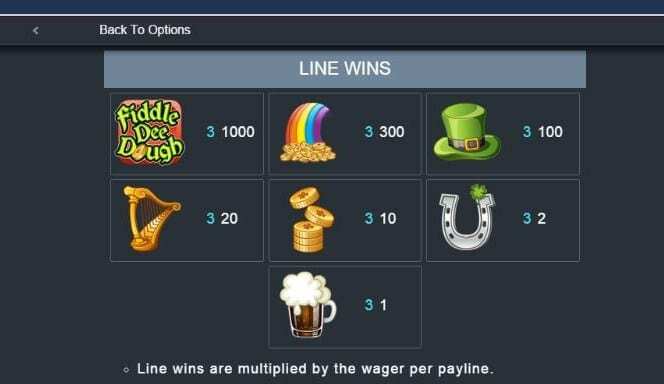 So come play onlines slots from the best! 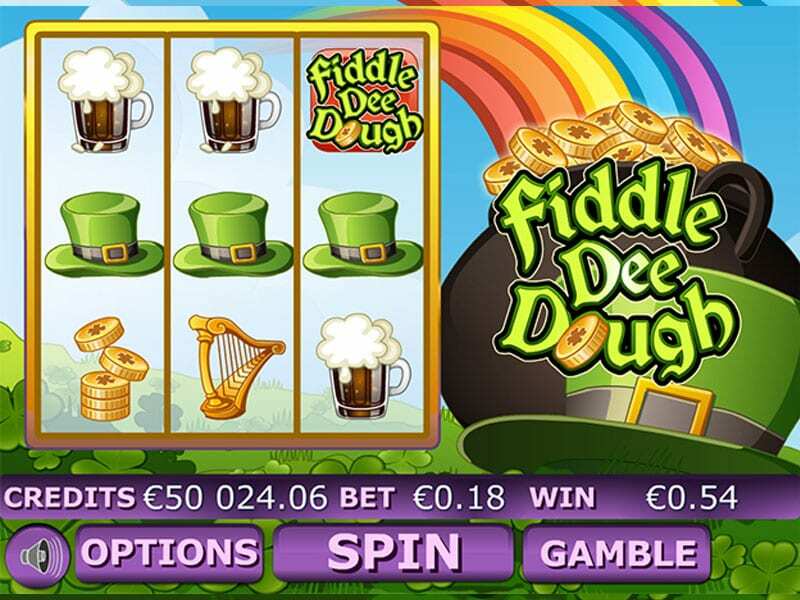 Here’s another incredible game from our friends at EyeCon who have created another wonderful instalment to add to an ever-growing collection of Irish themed slots. Eyecon is fairly recent developers on the market but constantly deliver with great technical games that include user-friendly graphics and exciting bonus rounds. Fiddle Dee Dough on WizardSlots is a slight retro throwback away from what has now become the standard 5 reel adventure. Eyecon have chosen to create a simplistic 3 reel, 9 payline online slot game. This is a great game for new slot players to cut their teeth on as the reels can be spun and analysed with relevant ease. In other words, it’s a great game to play before the training wheels come off and you make your way onto the high stakes 5 reels. The main character of this game is a curious, little leprechaun who jigs about to the delightful Irish themed soundtrack. Enjoy some simple betting options that can see you bet from as little as a penny all the way up to £10 per line. You may be wondering where the opportunities are to win big across Fiddle Dee Dough but you will be surprised to hear that the maximum bet that can be placed is a whopping £90. Think of the returns. Stare into the grassy Irish meadow that lives in the background of this 3 reel and finds the end of the rainbow when you spin through the reels. If you’re wondering what sort of symbols you’ll be up against then you guessed it; there’s lucky horseshoes, leprechauns, mugs of ale, and huge stacks of gold coins. Enjoy the range of bonus features on offer on this game despite its small reels. When you stumble across the scatter symbol more than 3 times you will unearth 8 free spins that will definitely keep you playing and returning to this game for longer. 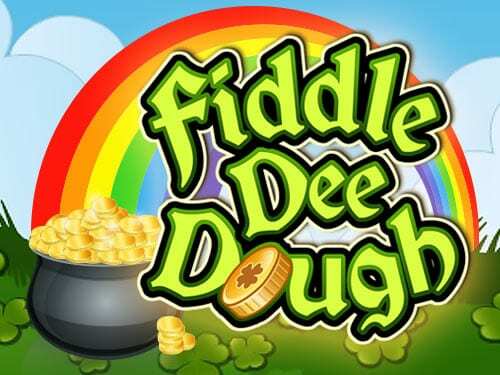 The best prize that can be won on Fiddle Dee Dough is the Pot of Gold Scatter when this appears more than 3 times you could be seeing yourself unearth some huge multipliers and free spins. The Wild symbol is the Fiddle Dee Dough logo, and as you’d expect substitutes for all other symbols except the scatters. Wizard has created a guide for players to play top 10 best slots we have. Fiddle Dee Dough is an amazing little 3 reel that has it all. It’s not only a candid little side game for the experienced depositors out there, but it’s also a perfect entry point for new gamers looking to cut their teeth and win some free spins across the reel. In addition, show me a gamer who dislikes the Irish slots, and I’ll show you a liar. Wizard Slots rates this game a 9/10. Another cheeky game for you to try is fluffy favourites.